Uglyworld #1092 - The Overlord Is Revealed, originally uploaded by www.bazpics.com. 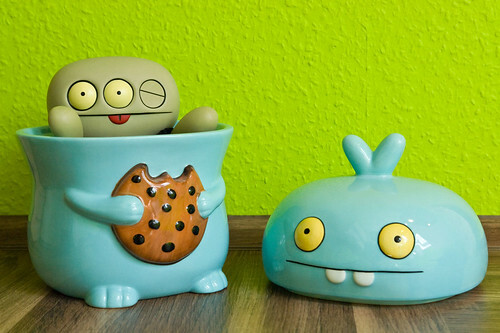 Myself and Mireille were standing for a few minutes after Babo ran away from the kitchen, and we were sure we could hear some muffled giggling coming from the direction of the cookie jar. As we slowly lifted the lid off of the cookie jar we heard a loud "gulp" coming from inside and then as soon as Cinko realised it was us he gave us both a wink and asked if his plan had worked.